Don't hesitate to contact our company when you have serious problems. We offer 24 hour garage door repair services and ensure home security. Call us for your commercial garage doors or when you need an estimate! The teams of Garage Door Repair Sunnyvale are prepared to deal with emergencies immediately! Call our company now for sudden problems! We are also available and trained to fix garage spring and opener problems on a same day basis. 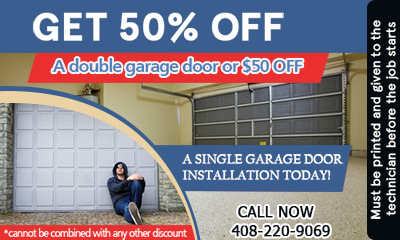 The excellent infrastructure of Garage Door Repair in California guarantees excellent technical work and security! Report your problems immediately for fast intervention and immediate repairs!